Focus on gene expression, taxomy, functional potential? 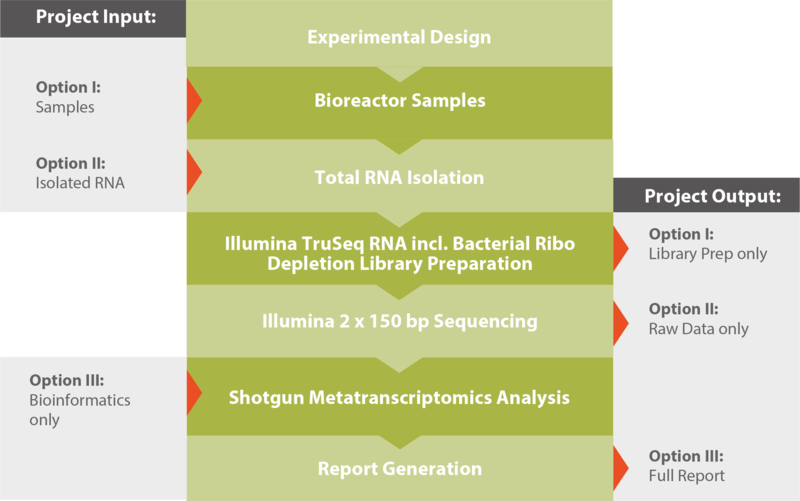 A typical workflow for a shotgun metatranscriptomics project is shown in the graphic below. Please note that our highly-modular processes allow you various entry and opting out options. 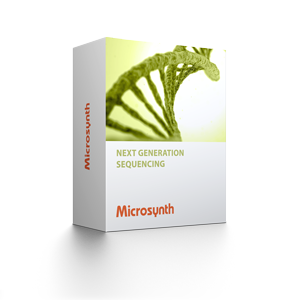 If you outsource your entire NGS project to Microsynth or only parts of it is up to you. For further reading and a detailed technical description, please download our Application Note Shotgun Metatranscriptomics (see related downloads). Our analysis module results in a complete overview of the expressed functional genes and the taxonomic composition of the active microbial community. Additionally differentially expressed genes and features can be identified between varying conditions or different communities. Table 1: Summary table resulting from differential gene expression analysis of the metatranscriptomic dataset. The IDs refer to the InterPro classification for proteins. 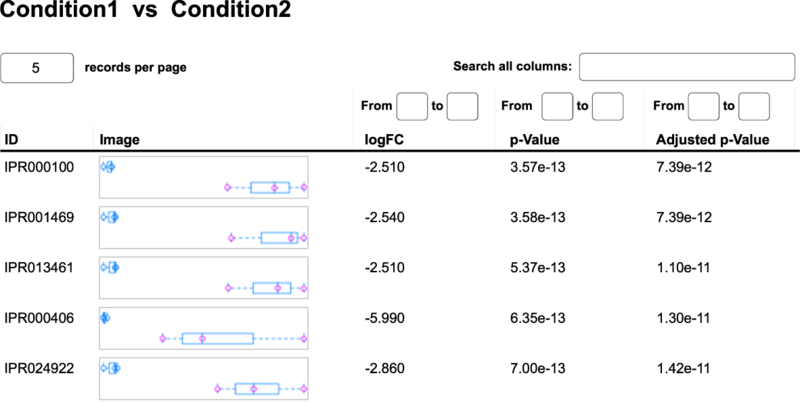 The column logFC represents the logarithmic fold change between Condition1 and Condition2. Statistical significance is given by the p-value and the adjusted p-value for multiple testing. Figure 1: Word cloud representing the bacterial composition of the active community on the phylum level. Size of the words are proportional to the phylum abundance. 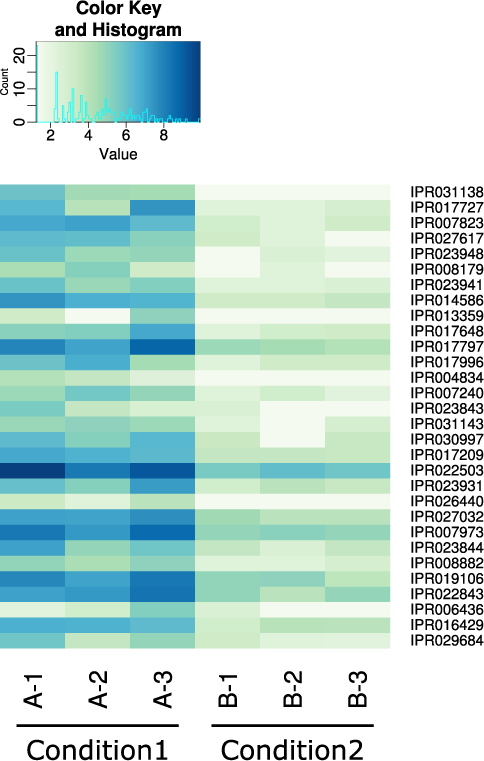 Figure 2: Heatmap of the top 30 upregulated genes between Condition1 and Condition2. Detailed information on our shotgun metatranscriptomics service.